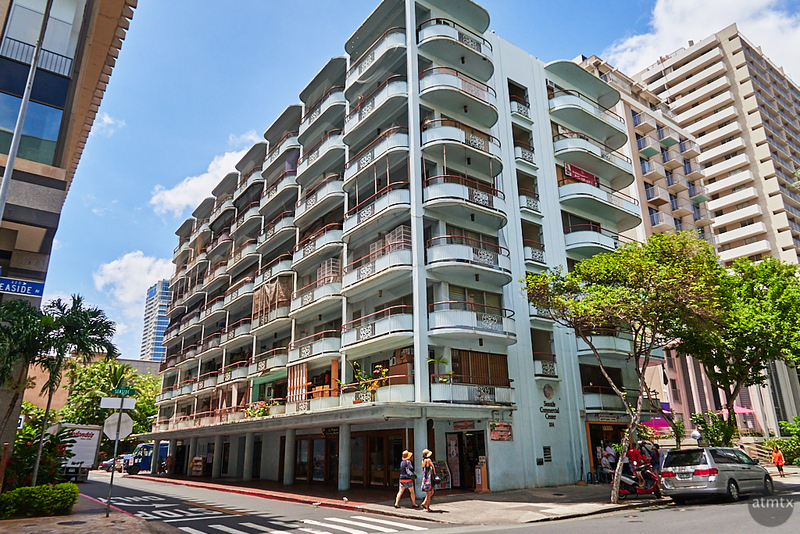 With the extremely high price of land in Hawaii, especially in the Waikiki Beach area, it’s not surprising that developers maximize their resource, building larger and more expensive structures. But, there are still pockets of the old world left in Waikiki. Buildings that survived the boom that started in the 70s. One of my favorites is this light blue apartment building on Seaside Avenue. The curved balconies with their ornate details adds character to a modest but nicely scaled structure. Somehow, it reminds me of buildings in the denser parts of Asia, like Hong Kong. All you need to add is the laundry, hanging out to dry. Having buildings with character is so important for a city. But, as most of the U.S. cities show, these places often disappear. I suppose if this was in the Art Deco district of Miami Beach, it would have a glorious second life. In Honolulu, I wouldn’t bet on it.